"Don't ever think that you can get their approval." 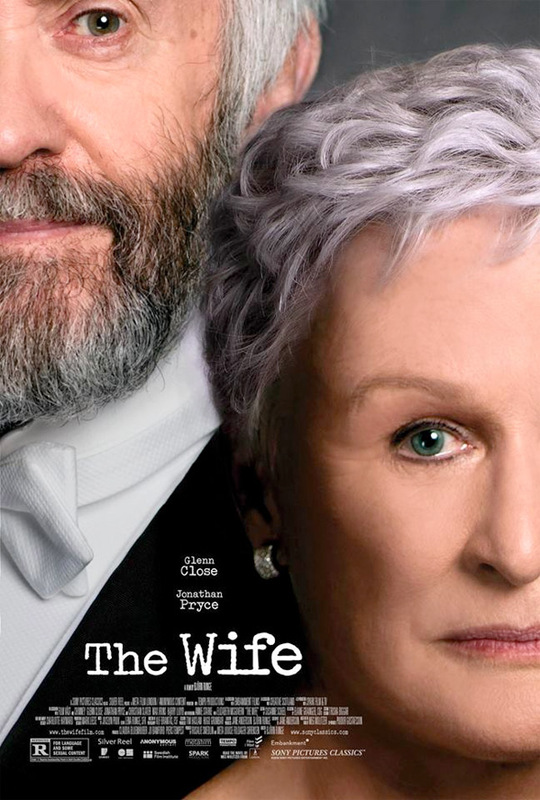 Sony Pictures Classics has debuted an official trailer for an indie thriller titled The Wife, which first premiered at the Toronto and Zurich Film Festivals last fall. Adapted from a novel, The Wife is about a woman who questions her life choices as she travels to Stockholm with her husband, where he is slated to receive the Nobel Prize for Literature. Glenn Close stars as Joan Castleman, with Jonathan Pryce as her husband, and a cast including Max Irons, Christian Slater, Harry Lloyd, Alix Wilton Regan, and Michael Benz. Described as "a poignant, funny and emotional journey; a celebration of womanhood, self-discovery and liberation." This looks very, very good, with a very impressive performance from Close especially. Seems like it might actually be worth your time to catch this. Joan Castleman (Glenn Close) is a highly intelligent and still-striking beauty – the perfect devoted wife. Forty years spent sacrificing her own talent, dreams and ambitions to fan the flames of her charismatic husband Joe (Jonathan Pryce) and his skyrocketing literary career. Ignoring his infidelities and excuses because of his "art" with grace and humor. Their fateful pact built a marriage upon uneven compromises and Joan's reached her breaking point. On the eve of Joe's Nobel Prize for Literature, the crown jewel in a spectacular body of work, Joan's coup de grace is to confront the biggest sacrifice of her life and secret of his career. The Wife is directed by Swedish filmmaker Björn Runge, of Harry & Sonja, Daybreak, Mouth to Mouth, and Happy End previously. The screenplay is written by Jane Anderson (How to Make an American Quilt), based on Meg Wolitzer's novel of the same name. This premiered at the Toronto & Zurich Film Festivals last year. Sony Classics will open The Wife in select US theaters starting August 3rd, 2018.